I write this testimonial on behalf of my husband, a man, a construction worker, and an indestructible human being – so he thought. One of his co-workers could see the pain, the clutching of his back and hips, the walking in agony, and the posture of someone 2-3 times his age. This co-worker took the initiative and reserved a place for him to attend a Chiropractic Workshop. I went for moral support, but I can tell you that this workshop goes way, way beyond a great learning experience. Both of us left with a consciousness and an untapped awareness about our bodies, how they work, and the potential to see that we can live in a state of health and wellness, rather than in a state of fixing things when we “don’t feel good.” Dr. O’Hara explains things with an enthusiasm and optimism that draws you in – because it makes sense. We all wanted to know more because Dr. O’Hara’s approach is simple and straightforward. The energy and passion in the room was absolutely incredible. Dr. O’Hara instills a confidence and the clear expectation that you can and will get better! The audience instinctively sensed that this gifted Doctor could really make a difference in their lives and their health and their well-being. She has certainly done that for my husband, and a lot more. Next Workshop :Wednesday, May 15th, 2019 at 6:00 p.m. 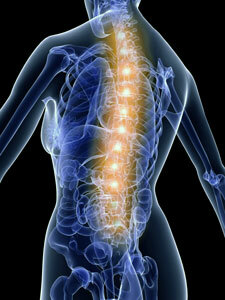 Contact our Goleta chiropractic office to schedule an appointment today!